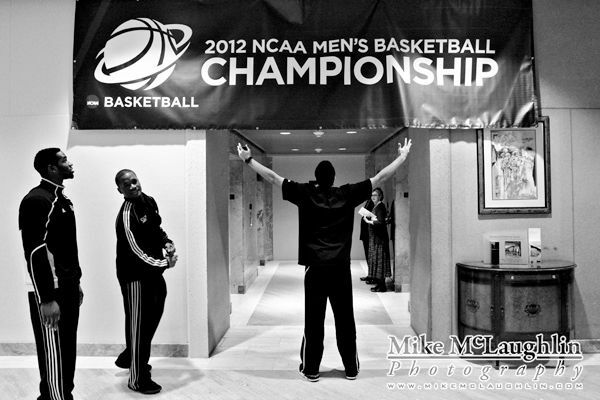 After getting off to a rough start with flight issues, the LIU Brooklyn Blackbirds arrived in Columbus, Ohio on Tuesday, March 13th for the NCAA Basketball Championships. With their first game on Friday night against Michigan State, the team had the day off for travel. After getting settled in at the hotel, everyone went out for a team dinner at The Elevator on High Street and then in for the night to rest up for their first day of practice. The team arrives at their hotel from the airport. 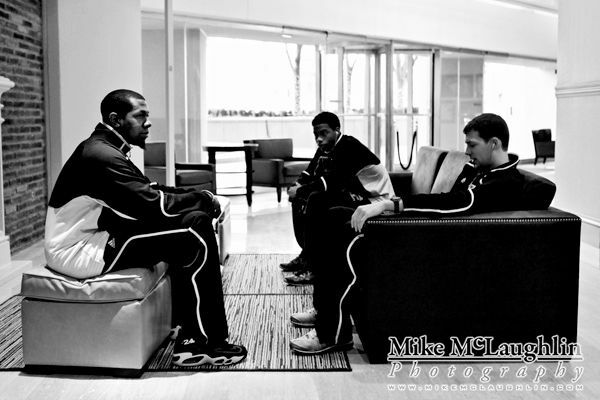 Junior Booker Hucks, freshman Gerrell Martin, and senior Mike Culpo wait in the hotel lobby before going to The Elevator for a team dinner. 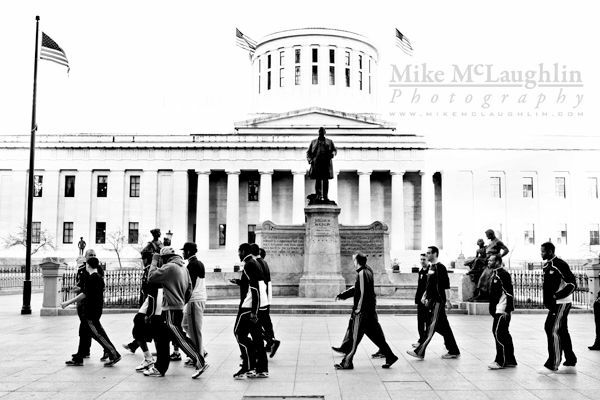 Walking past the Capitol Building on High Street in downtown Columbus, Ohio. 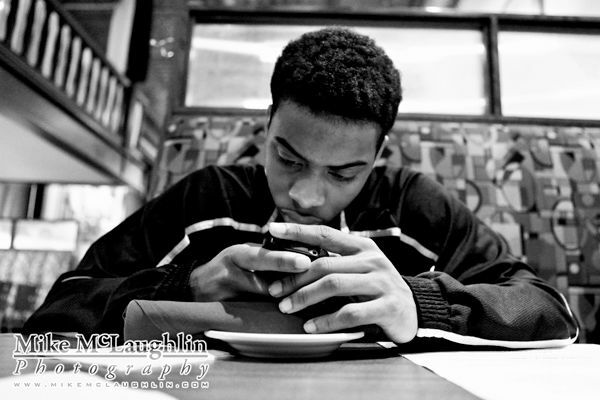 Freshman Gerrell Martin with his phone during team dinner at The Elevator. 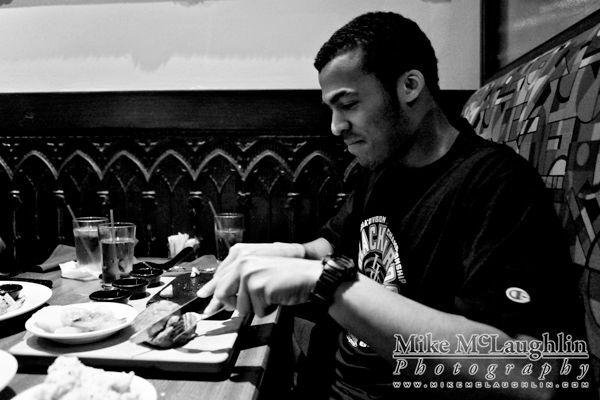 Freshman guard Pete Aguilar cooks his own surf and turf during team dinner at The Elevator. Back at the hotel, the team is welcomed with a banner and lots of good will from the Ohio community.